Teriyaki marinades can be used for a variety of recipes. Teriyaki sauces and marinades were originally meant to be used for fish recipes, such as teriyaki salmon, but in the Western world it is very common to use them for other meat dishes such as chicken. This recipe is not exactly “traditional” and is meant to be a simple version of a teriyaki marinade. There are more traditional, authentic recipes available. This particular recipe is meant to be easily made with ingredients most households should already have. 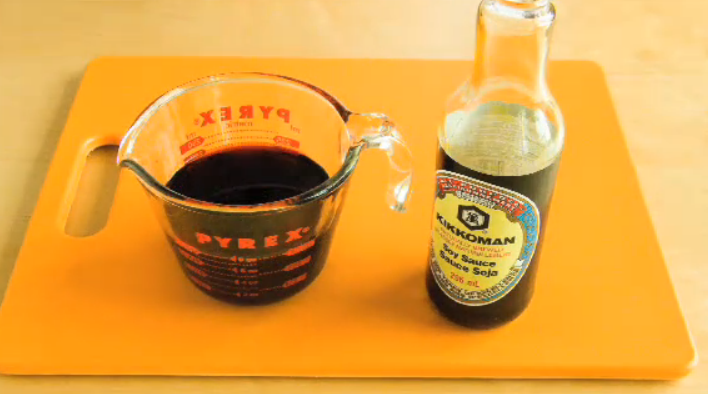 In a large bowl, combine a third of a cup of soy sauce with a third of a cup of water. Add a tablespoon or two of finely chopped garlic. Add about half a teaspoon of black pepper. Place whichever meat you choose into the mixture, cover it, and marinate in the fridge for as long as possible. Two hours would be considered a safe “minimum,” but a bit longer is usually better. Try using orange juice instead of water for a citrus flavor. This option is best used for fish dishes. While neither cayenne pepper or cinnamon is completely necessary, this recipe benefits from using one or the other specifically because it is such a basic recipe for teriyaki. When using a marinade, longer is typically better. It is typically best to prepare your marinade the night before you plan on cooking your meat. This gives the marinade proper time to work its magic.